Vedic knowledge is called shruti, learning by aural reception. One should actually receive the Vedic message from authorities like Krishna and His representatives. Here Krishna distinguishes everything very nicely, and one should hear from this source. Simply to hear like the hogs is not sufficient; one must be able to understand from the authorities. It is not that one should simply speculate academically. One should submissively hear from Bhagavad-gita that these living entities are always subordinate to the Supreme Personality of Godhead. 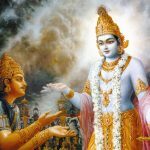 Anyone who is able to understand this, according to the Supreme Personality of Godhead, Sri Krishna, knows the purpose of the Vedas; no one else knows the purpose of the Vedas. The word bhajati is very significant. In many places the word bhajati is expressed in relationship with the service of the Supreme Lord. If a person is engaged in full Krishna consciousness, in the devotional service of the Lord, it is to be understood that he has understood all the Vedic knowledge. In the Vaishnava parampara it is said that if one is engaged in the devotional service of Krishna, then there is no need for any other spiritual process for understanding the Supreme Absolute Truth. He has already come to the point, because he is engaged in the devotional service of the Lord. He has ended all preliminary processes of understanding. 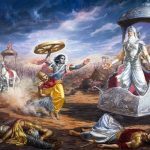 But if anyone, after speculating for hundreds of thousands of lives, does not come to the point that Krishna is the Supreme Personality of Godhead and that one has to surrender there, all his speculation for so many years and lives is a useless waste of time. Let them argue! They are bewildered by my maya, and the devotee is not bewildered. 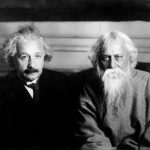 He who is not bewildered by the arguments of these philosophers (asammudhah) knows everything. Even though he has not studied the scriptures, he is the knower of the meaning of all scriptures. The other person, though he has indeed studied and taught all the scriptures, is really a complete fool (sam mudhah). He who knows worships me with complete love. The other person, though he worships something, does not worship me. The unequivocal result of one who is cognizant of the Supreme Lord Krishna’s eternal and paramount position as th ultimate reality is that they no longer are subject to delusion and illusion offerring in all respects themselves and everything they possess unto Him exclusively in propitiation and worship expressing the quintessential truth of all existence. Now Lord Krishna declares the results one acquires by knowing Him as the ultimate, absolute, paramount supremacy to all that exists. Those who are not subject to illusion and delusion, who can discriminate between between the physical body and the atma or immortal soul and have realised that He is Purusottama the Supreme being. These are the jivas or embodied beings that are all knowing for they have perceived the essence as well as the goal of all existence. This is confirmed in the Chandogya Upanisad III.XIV.VI beginning sarvakarmi sarvakamah sarvagandhah sarvarash meaning: The Supreme Lord is the cause of all causes, the supreme divinity, possessing all transcendental qualities and endowed with glorious, blissful accruements, whose immanence is all pervading. In chapter 7, verse 7 Lord Krishna has already revealed that there is nothing higher then Him. Thus the spiritually evolved propitiate and worship Lord Krishna with bhakti or exclusive loving devotion by speech with prayers to Him, by voice with songs of hommage to Him, by sacred actions dedicated to Him and by a mind totally absorbed in love for Him. Except for the Supreme Lord Krishna who exists within the innermost etheric heart of all jivas or embodied beings as Paramatma the Supreme Soul: there is none else more worthy of adoration then Him. It is stated in the Moksa Dharma known as the Mahabharata that the demigods take refuge in Shiva, who in turn takes shelter of Brahma, who in turn takes refuge in the Supreme Lord; but the Supreme Lord Krishna takes refuge in nothing. 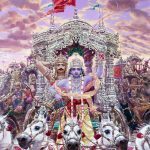 The knowers of the ultimate truth do not worship Brahma, Shiva, the demigods or any other god because they cannot equate to the paramount position of the Supreme Lord Krishna in any way. 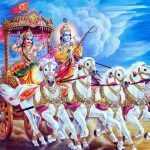 Neither is it possible for any of them to bestow the unequivocal, absolute knowledge that Lord Krishna bequeaths in Srimad Bhagavad-Gita. 15.19 Yo mam etc. He, who knows Me thus i.e., he who meditates exclusively on Me as identical with all, and to be the very Brahman – he realises all to be identical with Me and adores (or experiences) Me alone with his entire being viz., his form, action and thought. [That is to say], whatever he perceives, he experiences it as the form of the Bhagavat ; and so on. Hence [it has been said] by myself (Ag.) in the Sivasaktyavinabhavastotra as : O Mother (Goddess) ! Our praise to You is unusual one ; all (uttering) sounds constitute Your body indeed; in my entire body and in all [my] mental and external activities there is Your association. O Siva, O Alleviator of what is inauspicious ! When I fully contemplate in this manner, then it has been accomplished in the world, without any effort [of mine], that for me there is indeed not even a small fraction of time without praise, recitation [of hymns], worship and contemplation [of Yours]. yaḥ — anyone who; mām — Me; evam — thus; asammūḍhaḥ — without a doubt; jānāti — knows; puruṣa-uttamam — the Supreme Personality of Godhead; saḥ — he; sarva-vit — the knower of everything; bhajati — renders devotional service; mām — unto Me; sarva-bhāvena — in all respects; bhārata — O son of Bharata.